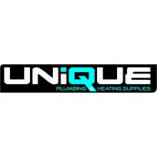 If you are looking for your Worcester boilers in Birmingham, look no further than Unique Heating Supplies. As we know homeowners everyday heating needs. It is our several years of experience that allow us to provide the right boiler for you. When... you buy our products you can be sure that you get the affordable and authentic product along with manufacturer warranty. Apart from this we also provide chemicals and filters, radiators and towel rails, boiler parts, heating controls, plumbing and heating and more. For more details and information call us on 0121 7535 174 or email us at uniqueheatingsupplies@gmail.com. We are always happy to assist you.